Bittersweet Enchantment: Cold Kiss by Amy Garvey - FREE on Kindle! 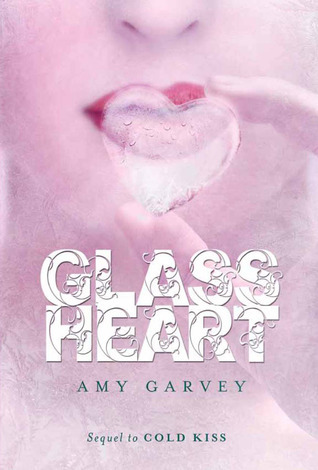 With Glass Heart (book #2 in the Cold Kiss series) soon to be released on Sept 18th HarperTeen has lowed the price of Cold Kiss to FREE! Now that an awesome deal. Even though I have read the book once before I could not pass this one up. I downloaded my copy yesterday. When Wren's boyfriend, Danny, died, Wren decided that what she wanted—what she had to do—was to bring Danny back. And so, in a heartbroken fury, armed with dark incantations and a secret power, she did. But the Danny who returns isn't the boy Wren fell in love with, and she must hide him away while her life unravels around her. Then Gabriel transfers to her school and somehow he knows what she has done—and he wants to help make things right. But Wren alone must undo what she has wrought—even if it means breaking her heart all over again. 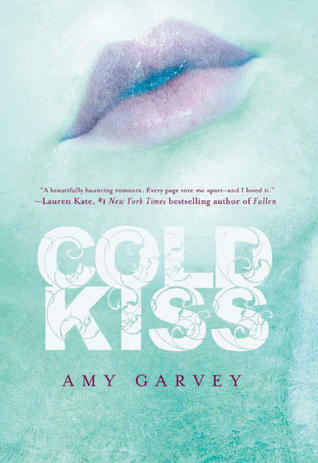 For those who have never read Cold Kiss I would highly recommend you do. A very fun and light read. Wren would do anything to not loose Danny even bringing him back from the dead. So, did you pick up your copy? Thanks for the heads up! I was about 1/4 of the way through when my galley expired, so I never had a chance to finish. I'm going to download now so that I can get back into it! Thanks for mentioning this book. I almost never hear about freebies on my own. Only when someone posts about it. Your all very welcome! :) I hope you enjoy the book.